A new mobile game app helps children who have experienced trauma by letting them use their tablets or smartphones to practice life skills they have learned in the therapist’s office. 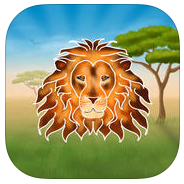 During the game, TF-CBT Triangle of Life, created by mental health professionals at Allegheny Health Network and students at the Entertainment Technology Center at Carnegie Mellon University, the player takes the role of a lion in the jungle guiding other animals toward positive experiences and relationships. Organization: Judith Cohen, MD, and Anthony Mannarino, PhD of the Center for Traumatic Stress in Children and Adolescents at Allegheny General Hospital and Esther Deblinger, PhD of the New Jersey CARES Institute developed Trauma-Focused Cognitive Behavioral Therapy (TF-CBT).